Organic Visibility Score is a metric that quickly summarizes your organic ranking performance. Learn how it's calculated. It can be difficult to identify how your overall organic rankings are doing on your site, especially when tracking a large number of keywords or would like to visualize trends over time. Organic Visibility is a metric designed by Dragon Metrics to help quickly summarize your organic ranking performance. This score roughly correlates to the average expected click-through-rate for all keywords tracked in the current set. Let's take a deeper look at how this metric is calculated. 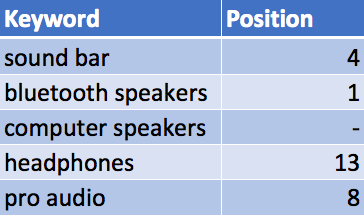 Every keyword in the set is given a certain number of points according to its organic ranking position. The points for all keywords in the set are summed, and divided by the number of keywords to arrive at an average. This is the Organic Visibility Score for this set. The points assigned to each keyword are determined by the site's organic ranking position for this keyword, and generally correlate to the expected click-through-rate a URL may receive at this position. For example, keywords ranking at position #1 may receive around 30% of the clicks for this keyword, so any keyword ranking at this position is given 30 points. Keywords ranking at position #2 may receive a CTR of around 15%, so any keyword ranking at this position will receive 15 points. Keywords at position 3 will get 10 points, and so on. 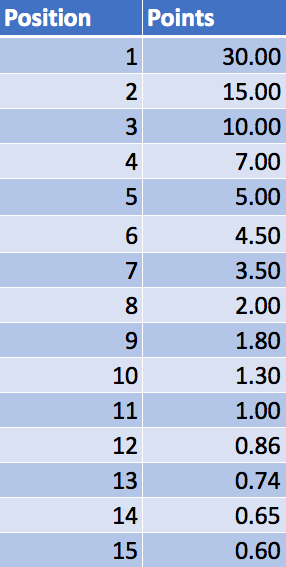 Keywords ranking below position 10 will receive very few points, since the CTR for these positions will be very low. What's the maximum possible Organic Visibility Score? In theory, the highest score a site may receive is 100. However, it's unlikely any site would ever come near a score this high, since it would mean that this site occupies every ranking position from 1-30 for every keyword in the set. If a site occupies the #1 position for every keyword in the set, the Organic Visibility Score will be approximately 30. Therefore, it may be better to think of this as the real maximum score. What is a good Organic Visibility Score? It's difficult to say exactly what a "good" Organic Visibility Score is. In most circumstances it will depend on a number of factors, such as the popularity, search volume, search intent, and competition of the keywords in the set. For example, if you're targeting a large number of your own brand's keywords, a Organic Visibility Score less than 20 would be unacceptable. If you're targeting high search volume, highly competitive terms, even an Organic Visibility Score of 3 would be doing great in some situations. Similarly, targeting long tail keywords would generally require a higher Organic Visibility Score to acheive the same amount of traffic as head terms. In general, try to think about the CTR you want to achieve, then aim for an Organic Visibility Score of the same number. In any situation, a score of 20 or higher is doing very well.